Millo Kitchens and Baths specializes in providing end-to-end quality kitchen and bathroom remodels using custom-manufactured cabinets and vanities for your kitchens and bathrooms. 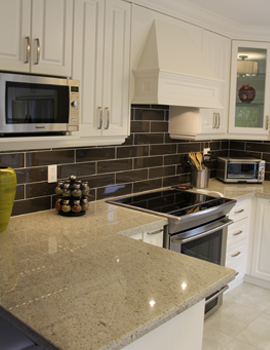 We provide residential homes in the GTA, Peel Region, Halton Region and surrounding Ontario communities with full-service kitchen and bathroom renovations, from innovative designs and one-on-one personalized service to installation of quality materials at competitive prices. 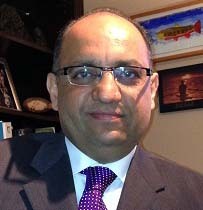 Millo Kitchens and Baths is a member of the Millo Group of Companies, a family-run Canadian corporation headed by Sam Malekzai. Sam has always loved the smell of wood and grew up watching and admiring cabinet craftsmen create beautiful and elegant furniture from natural wood. Inspired by the ability to create beautiful things out of wood, Sam started working in the custom cabinetry business in 1997. Since then, Sam established several businesses offering a wide range of home improvement services with the same commitment to providing exceptional customer service to families in Southern Ontario. Please feel free to visit our sister companies, Millo Closets & Custom Cabinetry (www.milloclosets.ca) for custom closets and cabinetry and Best Buy Granite (www.bestbuygranite.ca) for your granite countertop needs. We have been creating custom kitchens and bathrooms for over 17 years in Ontario and have built a reputation for offering the best quality product combined with exceptional customer service to our customers. We are passionate about our craft, and are committed to providing you with the best value for your renovation investment. At Millo Kitchens and Baths, we take care of all aspects of your renovation project, with the goal of making it a smooth and stress-free experience for you. We make sure that once we start a kitchen or bathroom renovation project, you will sleep well knowing that your home is in good hands. Whether you're planning a full gut of your space or simply refreshing the look of your kitchen or bathroom, contact us for a complimentary design consultation and let us show you how we can help you with your home renovation project. 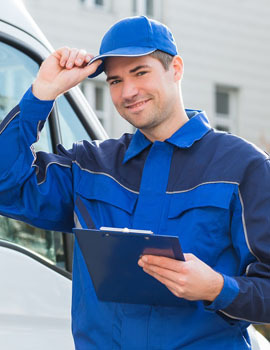 Our number one priority is to make sure our customers are happy with our work. 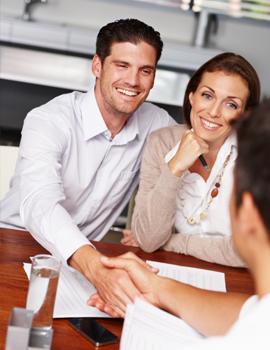 As a family-owned and operated business, you will receive personalized service every step of the way, from design ideas to project completion. We will listen to your preferences and provide you with customized recommendations for your kitchen or bathroom renovation, and will answer any questions you may have about your project. At Millo Kitchens and Baths, we only use top quality materials that satisfies both form and function to meet your style and budget requirements. We are also conscious about the environment, using mostly recycled wood products inside kitchen cabinets and bathroom vanities, while providing a wide variety of solid wood doors and exterior finishing options to create your dream kitchen and bathroom. We combine old world cabinet-making craftsmanship and special attention to detail with the latest high-tech precise manufacturing processes to provide you with unique custom kitchens and baths that meet your style and budget. With over 10 years of experience in the industry, we can also provide expert design advice that best fits your space, ensuring you get the kitchen and bathroom you've always wanted. 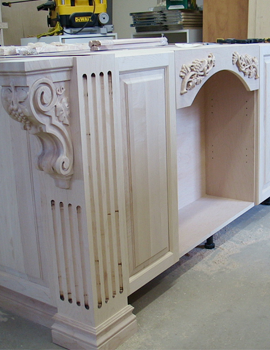 Knowing your custom made kitchen cabinetries will arrive on time gives you a peace of mind. At Millo Kitchens, we are confident that we will deliver your order on the contracted delivery date that we will deduct $100/day for every day it is delayed*. *only applies to delivery and not installation of kitchen cabinetries.